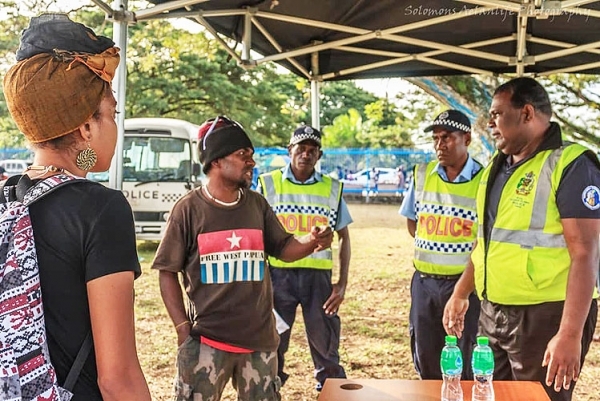 THE issue of West Papua was under spotlight at the 6th MACFest in Honiara, when West Papua activists were told by the police to halt raising the Morning Star flag at the festival venue.Local outspoken West Papua activist Ben Didiomea claimed that we was being arrested by the police, when displaying the Morning Star flag in front of the Melanesian Provinces of Indonesia stall, at the MACFest village over the weekend. “Even though Solomon Islands Police arrested me today (Saturday) for raising the Morning Star flag in front of the Indonesian stall, I will never give up fighting for my Melanesian brothers and sisters of West Papua. “Know your identity,” Mr Didiomea posted this, on his Facebook wall. Didiomea and other freedom fighters from the Pacific gathered in front of the Indonesian stall to demonstrate their support for West Papuan as Melanesians of Indonesia, when they were approached by the police. It was reported that the group rallied in front of the stall to take photos with the Morning Star flag, when they were told to leave, by those that are manning the stall. A video that was posted on the social media exposed the drama on Saturday, when the police confiscated the flag from the group. The police told the group that the order to confiscate the flag was from the Police Commissioner, as their job is to provide security at the venue. When questioned why the flag was taken from them, the police responded that it already showed implications that something is not right. “This is a Melanesian Arts and Cultural Festival, and our Melanesian brothers and sisters of West Papua need to be represented. 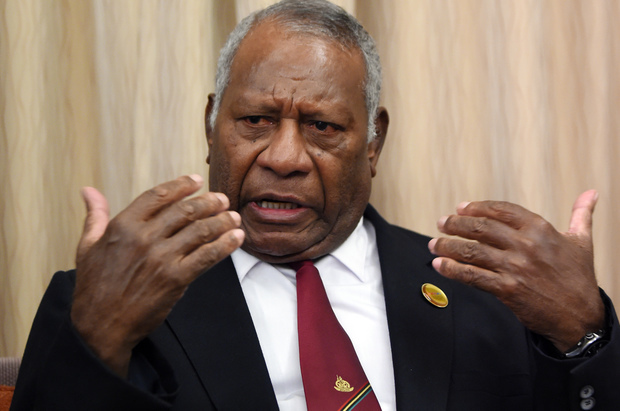 “That is why we are rallying our support for them through this display, as true Melanesians. 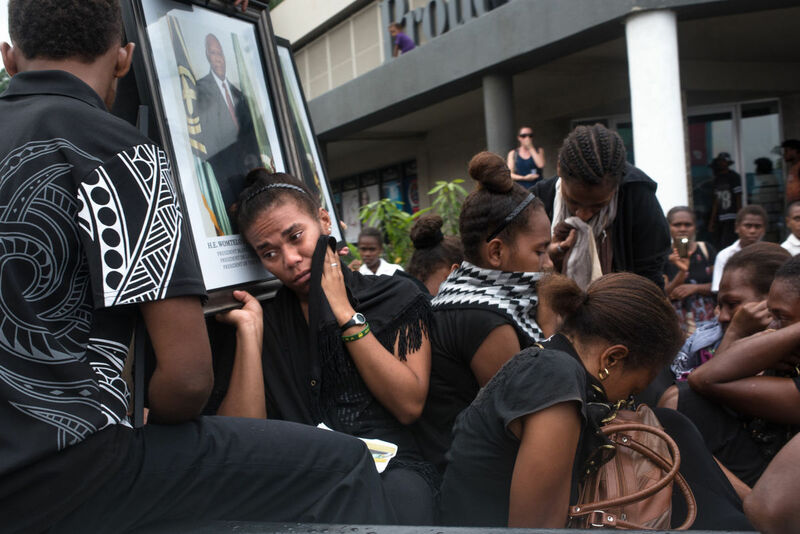 “They need our full support, in such a time like this where all Melanesians are coming together to share our cultural and traditional beliefs,” another activist commented. Meanwhile, the Police Media Unit has issued a statement on Sunday, to clarify the issue at the MACFest and their actions towards the gathering, on Saturday. The statement said that, the Solomon Islands Government has invited the Government of Indonesia to participate in the 6th Melanesian Art and Cultural Festival being held at various venues in Honiara from 1 – 10 July 2018. 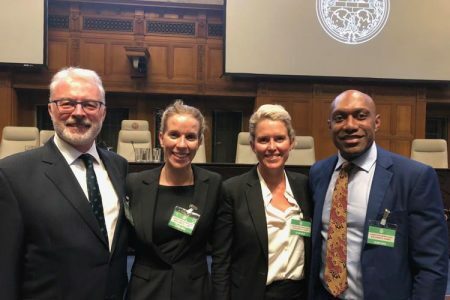 “With the mandate to protect law and order and provide security in Solomon Islands, the RSIPF put in place an operational order to provide security during the MSG Leaders’ Meeting, the MACFest and the 40th anniversary of independence. · The Operation will adopt a “zero tolerance” stance to any criminal activities. 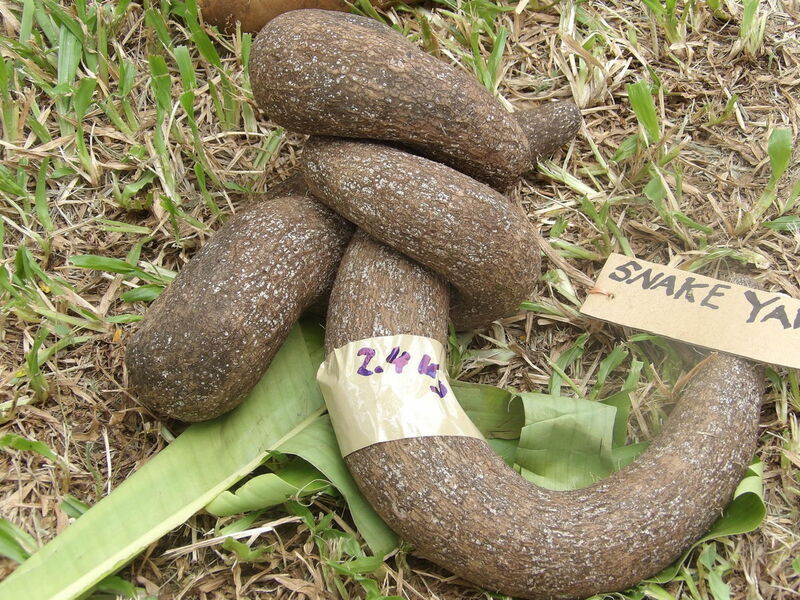 “As a result, the RSIPF put in place measures to ensure the safety of both members of the local community and visitor’s from other participating countries,” the police statement reads. It further stated that from daily reports, some drunken youths are entering the Indonesian stall and threatened to burn it down. Besides, some unknown people have climbed the flag poles at the Panatina venue and removed the Indonesian Flag, which is still missing at the moment. Therefore, the Police have decided to deploy some of its officers to the Indonesian stall. 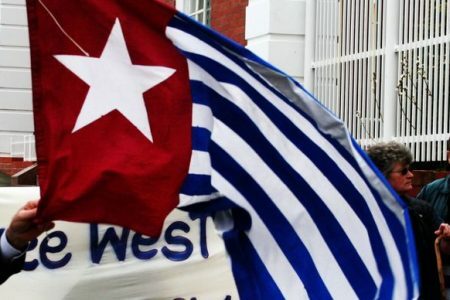 The statement also said that on 7 July 2018 at about 4 pm, some local supporters of the West Papua Freedom Movement arrived at the Indonesian Stall at the Melanesian Village and pulled up the Movement’s flag in front of the stall. This drew a large crowd to the Indonesian stall. “The RSIPF officers at the Indonesian Stall took the flag away from the West Papua Supporters and led them to the Police Post at the venue to tell them that the MACFest is not a political event but an arts festival where people should go and enjoy in a safe environment. 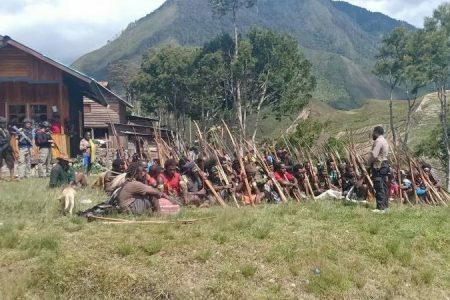 “The officers took and led the leader of the local supporters of the West Papua Freedom movement into a police bus to get his contact details. “At no time did the RSIPF arrest the local leader of the West Papua supporters. The flag was taken away from them at the location to stop any provocation against the Indonesian delegation. “The flag was returned to the owner yesterday,” the police statement explained. Meanwhile, the RSIPF in the statement issued yesterday wanted to strongly advice members of the communities in and around Honiara to refrain from any activity that may cause harm to the peace of our nation. “Anyone who wants to disturb the peace will face the full force of the law,” it concluded.